Quakers in Britain have formally made a public declaration of support for the Occupy London protestors. The news comes just before the City of London Corporation deadline for activists to clear the public highway at 6pm on Thursday 17/11/2011. The statement issued by Quakers in Britain says that they share the concern for global economic justice and sustainability expressed by the Occupy movement. And speaking from their long tradition of nonviolence, the Quakers praise the peaceful nature of the Occupy movement. It was read out to protestors at Occupy London this evening. The statement is signed by the recording clerk, Paul Parker, and it goes on to say: “Quakers in Britain agree with the statement of Occupy London Stock Exchange that our current economic system is unsustainable. It is undemocratic and unjust. We need alternatives. We, too, ‘want structural change towards authentic global equality. The world’s resources must go towards caring for people and the planet, not the military, corporate profits or the rich,’ (as in Occupy LSX initial statement). In September Quakers held a conference ‘Economic Justice and Sustainable Global Society’, declaring that we live in a world where people and society are geared to supporting economic systems. Instead Quakers want to turn this around and build fair economic systems to support people. Statements by Quakers in Britain are relatively rare since individuals and groups have a responsibility not to claim to speak for Friends without explicit authority and must be authorised by the ‘appropriate meeting for church affairs’ (Quaker Faith & Practice 3.27). The meeting with responsibility is Meeting for Sufferings (The standing representative body entrusted with the care of the business of the Britain Yearly Meeting through the year. This first met in 1675. Its original purposes included obtaining redress from both parliament in cases of individual suffering and seeking to liberalise the laws relating to religious toleration – hence the name.) Meeting for Sufferings may delegate authority for public statements to its clerk. “Quakers in Britain share the concern for global economic justice and sustainability expressed by the Occupy movement. We agree with the statement of Occupy London Stock Exchange that our current economic system is unsustainable. It is undemocratic and unjust. We need alternatives. We, too, “want structural change towards authentic global equality. The world’s resources must go towards caring for people and the planet, not the military, corporate profits or the rich,” (as stated in Occupy LSX initial statement). We are grateful to the various Occupy groups for raising these issues so passionately and respond to the deep spiritual significance that we recognise in the movement. “Those of us who have visited have been welcomed, and found the Occupy sites an exceptional learning experience. We honour the values and positive ways of working within Occupy communities: without hierarchy, based on care for others, open to the contributions of all and searching for the truth. These are in harmony with our Quaker practice and business methods. “The idea that another world is possible is crucial for us too. We cannot accept the injustice and destructiveness of our economic system as it is. At the annual meeting of Quakers in Britain in August 2011 we wrote: “We need to ask the question whether this system is so broken that we must urgently work with others of faith and good will to put in its place a different system in which our testimonies can flourish”. We support the process initiated by the Occupy movement to create a path towards a different future, and to develop it democratically. 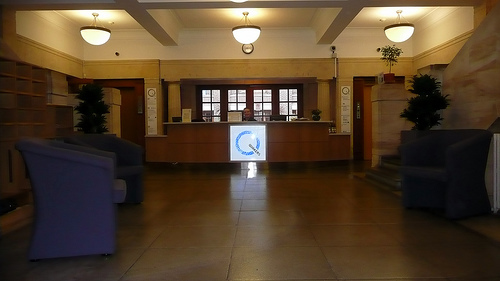 There are around 470 Quaker meetings in Britain and they are attended by around 23,000 people. Since October, there has been a weekly Meeting for Worship alongside the Occupy London camp. 2011/11/17 in News, Occupy, Quaker news. Ok so I am going to put my head over the parapet and ask what our collective response would be if the Occupy London tents appeared in the garden of Friends House in Euston Road? Are we going to offer this to them as a refuge while they regroup? I personally would support this move but perhaps it is a debate we ought to have among Friends and may be here is the place to have it?